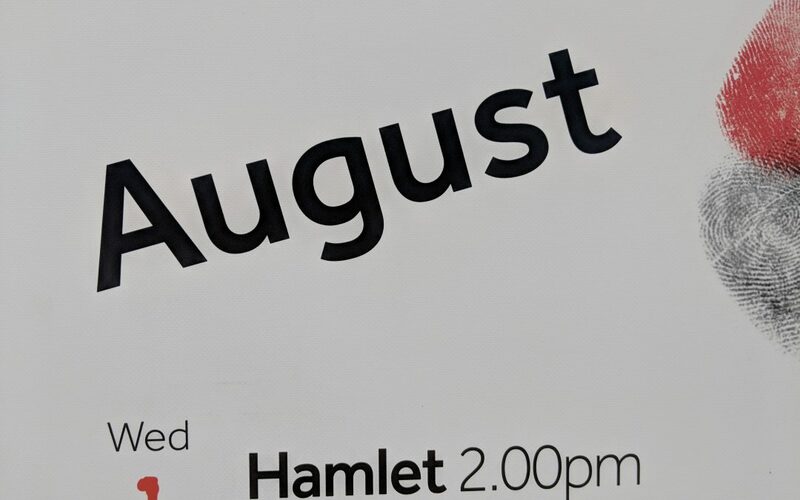 Welcome to the August collection of my Photo a Day pictures. 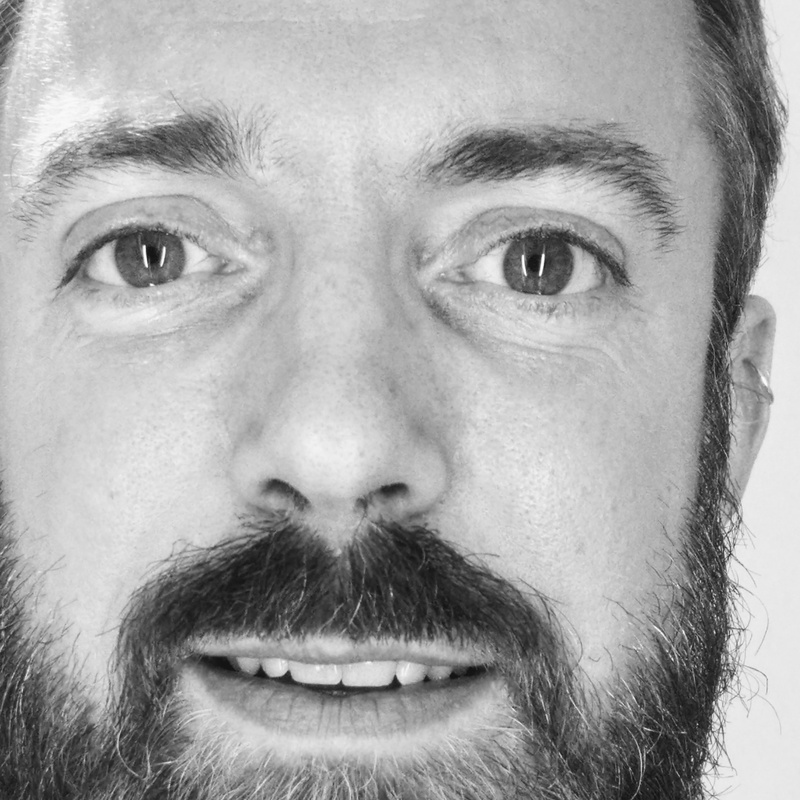 It is always interesting to remember that the Fat Mum Slim website (and creator of the photo a day challenge I take part in) is written by an Australian and that their seasons are opposite to ours. So as we’ve been basking in the heat of the 2018 Summer, they’re huddling down under looking for Something Warm, and yearning for winter to be over. There are many others who take part in this in the Northern Hemisphere and it’s wonderful to be part of this community. It is the best of the World Wide Web that we can connect and discover people from all over the world and get a glimpse into their lives and surroundings. In this time when it feels like all the nasty stuff is coming out of the woodwork (the bigotry, hatred, and nastiness that seems to dominate the news) that we need to remember our commonality, and the group I have met doing this has really helped. My vice is to waste time sneaking around, stabbing people in the back, playing at being an Assassin (or Batman) on my PS4. 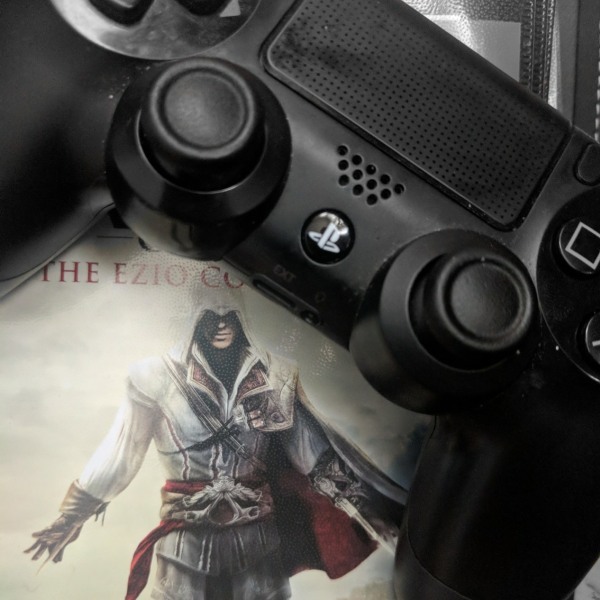 I really love the Assassin’s Creed series of games. 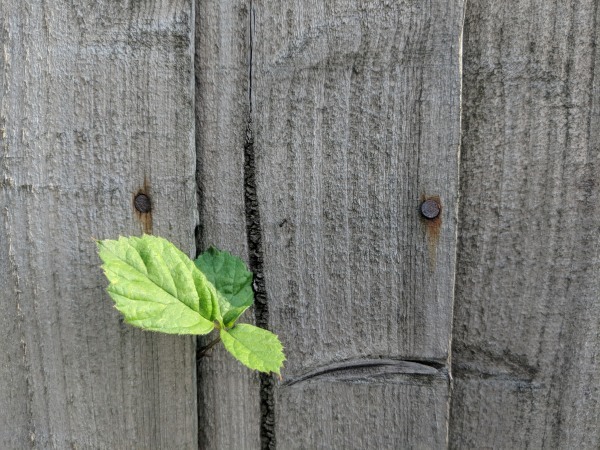 A bramble/blackberry leaf make a break through a fence. As some of my clients know, this month my kitchen is being gutted and rebuilt. 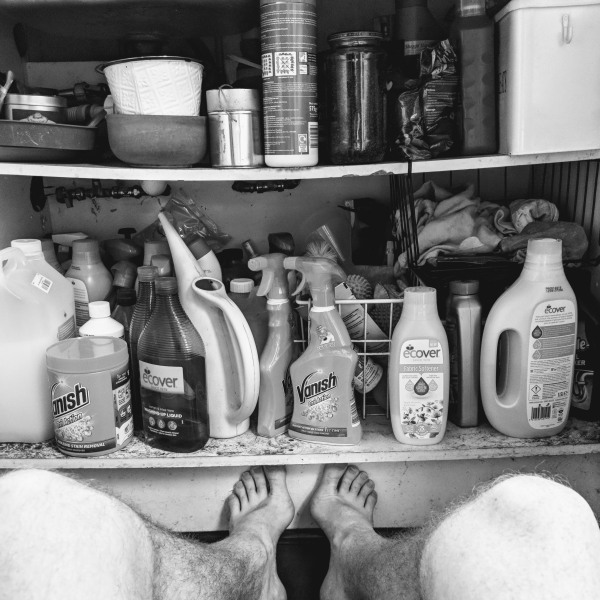 My weekend was spent going through the cupboards, starting with the one under the sink. 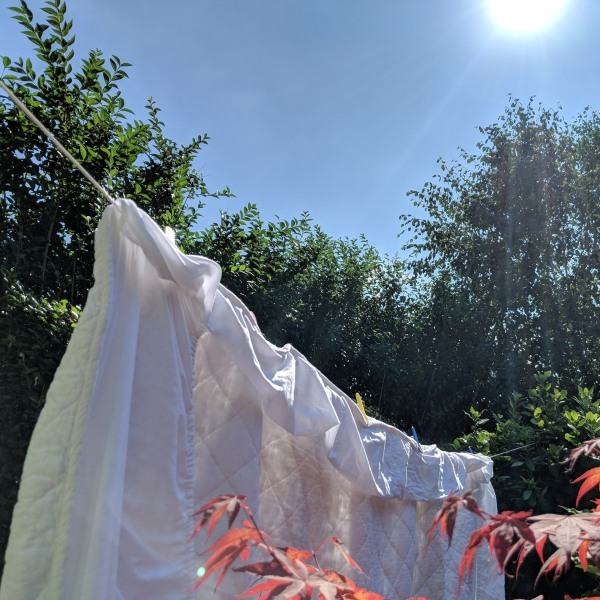 Making use of the warmth and sunshine to do my laundry. Some people commented that this was very domestic… There is no one else who will do it, my SO and I both do all the chores. 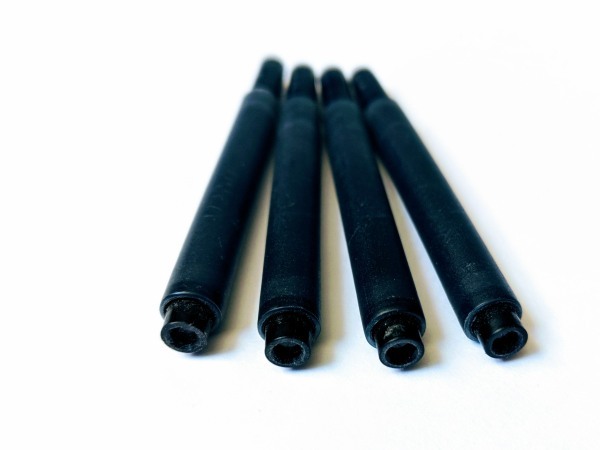 Cartridges for a fountain pen. I don’t have any tattoos, so I had to settle for this as my approach for this prompt. 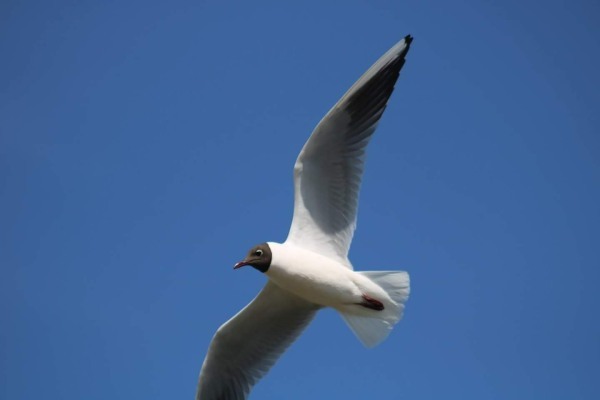 Black-headed gull soaring in a blue sky. 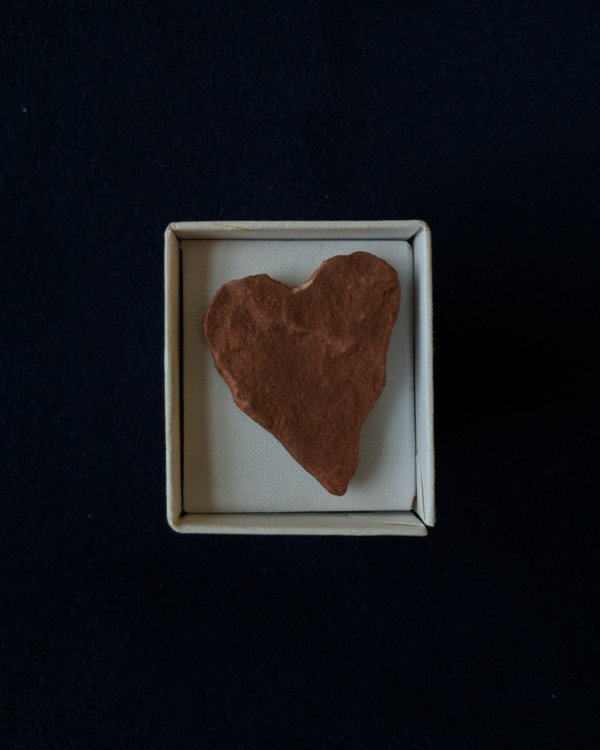 A heart shaped stone given to me by a Native American in Sedona, Arizona. I wasn’t sure who he was to start with, but then came across him playing a flute on top of one of the rock formations. This lives at the Clerkenwell Clinic, where it brings the energy of Sedona to the room. I have another one that I found at Stanmore, and a Wolf’s head shaped one at home. Oh my! 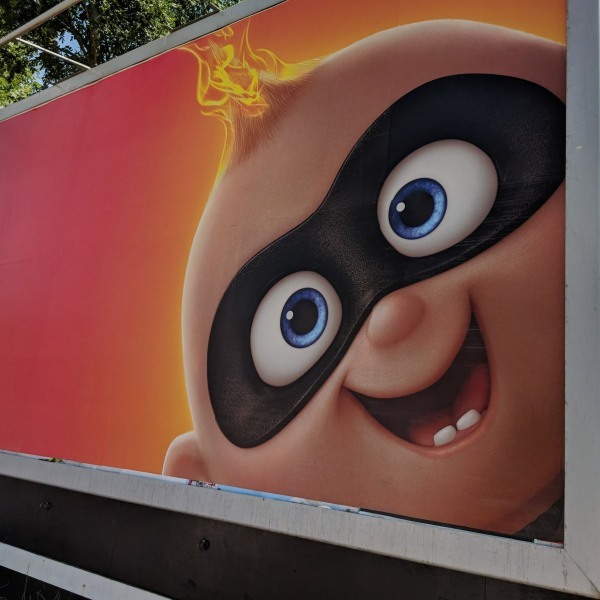 How to show cheeky in a photo?! 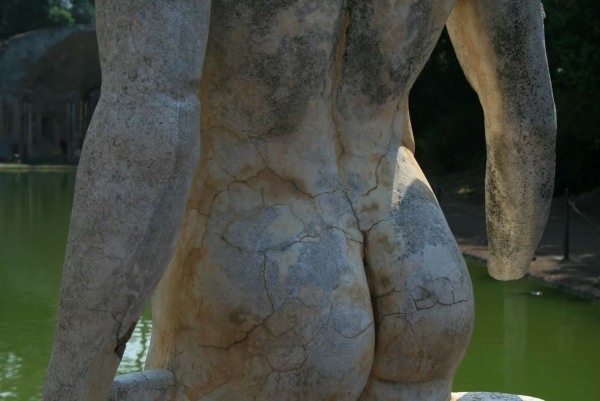 I ended up going to my archives for a cheeky shot of a Roman statue’s shapely posterior. It can be found at the Villa Adriana, just outside of Rome. My house, and particularly the kitchen, is being turned upside down as the kitchen cupboards are being replaced. I may turn it into a blog post. 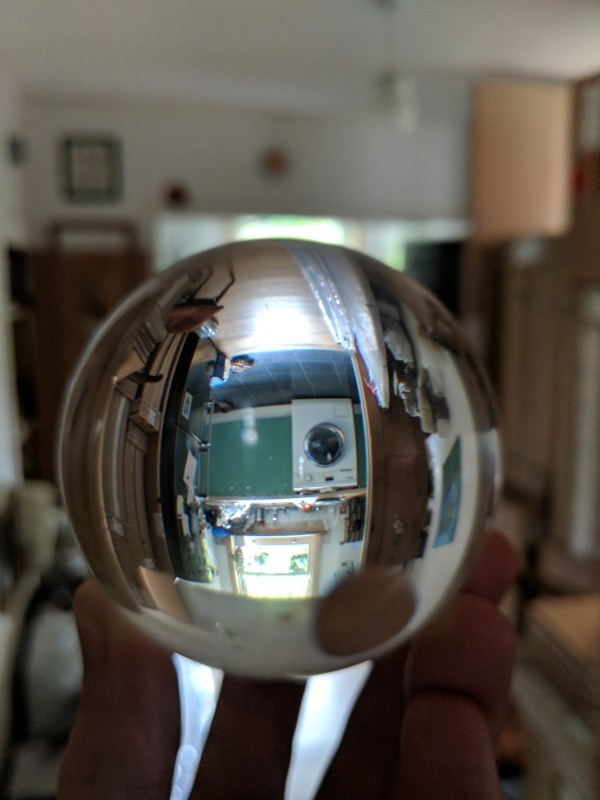 I wasn’t the only one to use a lens ball for this prompt, but it helps to show some of the chaos. 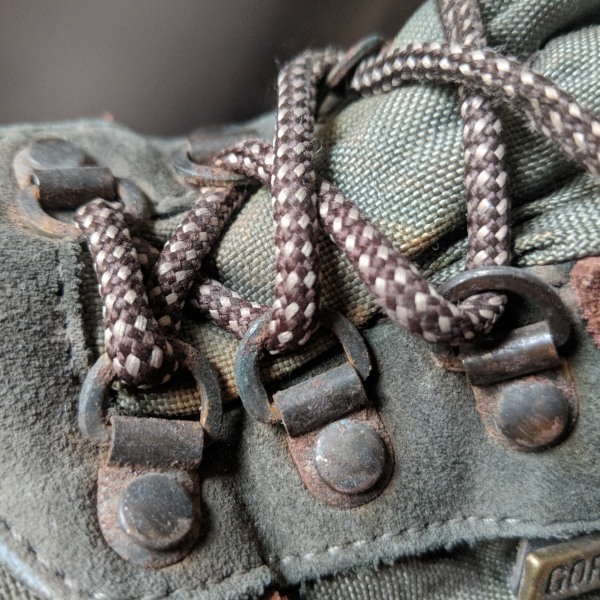 Here are the metal eyes of my rather old and battered hiking boots, as an alternative to a photograph of my eyes. 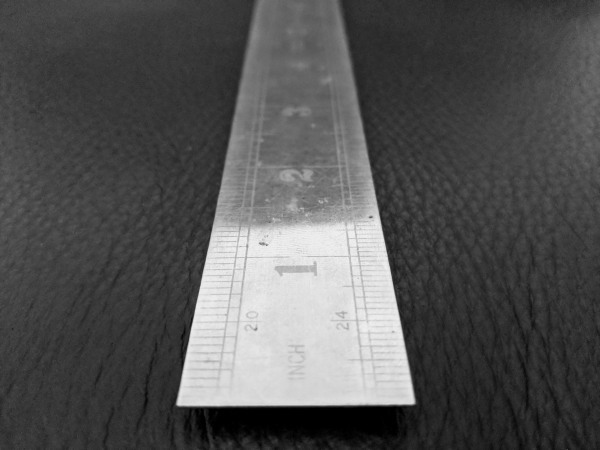 My steel ruler from school still provides a straight edge after all these years. 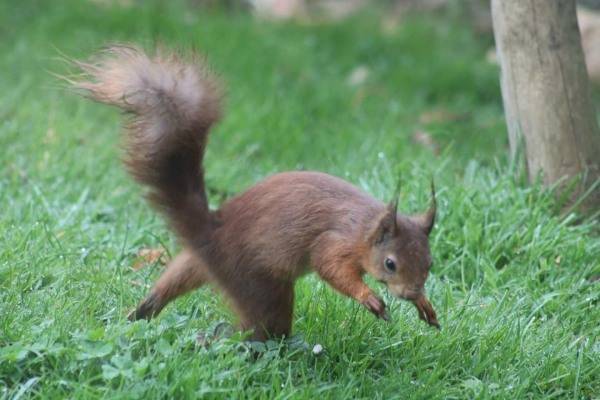 A red squirrel (taken at the Garlic Farm earlier this year) bounds around. It’s still a warm August (if not quite as hot as it has been), so the thought of finding something warm didn’t thrill me. 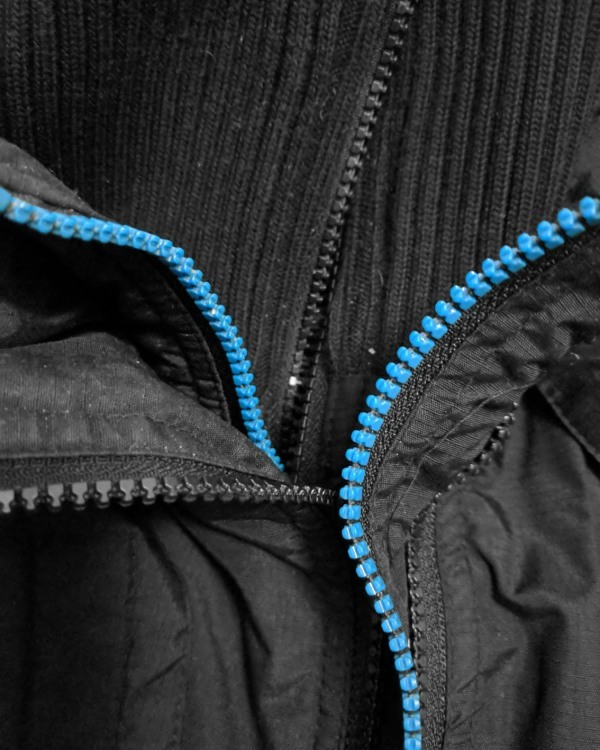 Here’s detail of my winter jacket. 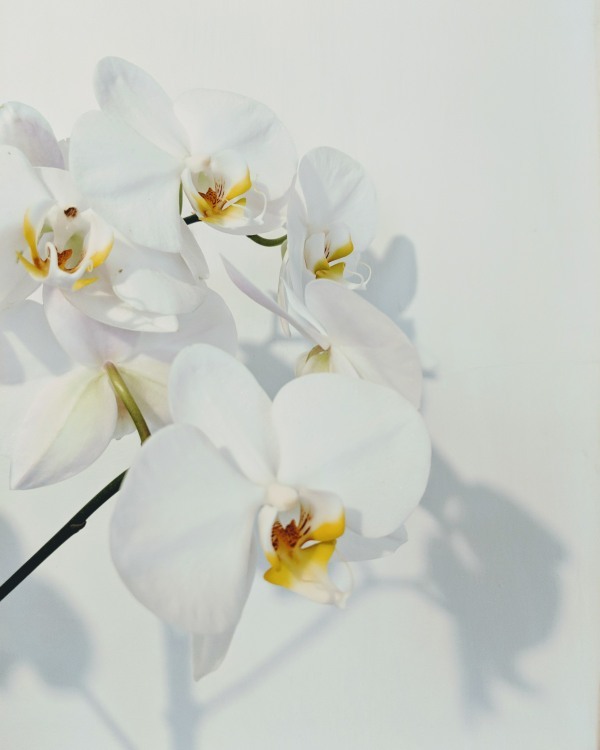 My new white Moth Orchid against the white walls of my kitchen. 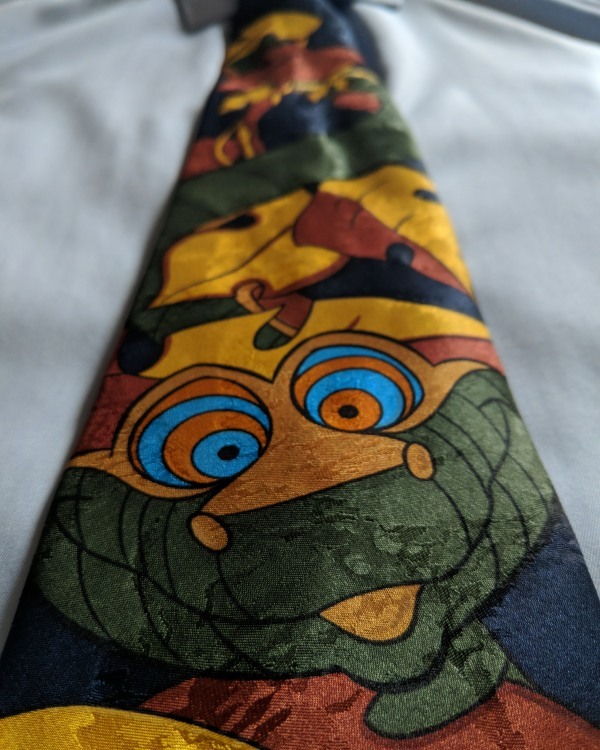 Kaa from the Jungle Book attempts to mesmerise on this tie belonging to my SO. A wonderful tie, shame the fashion is for much narrower ties. I love nature and I love macros so this was an almost perfect prompt. But could I find a helpful insect to perch prettily? 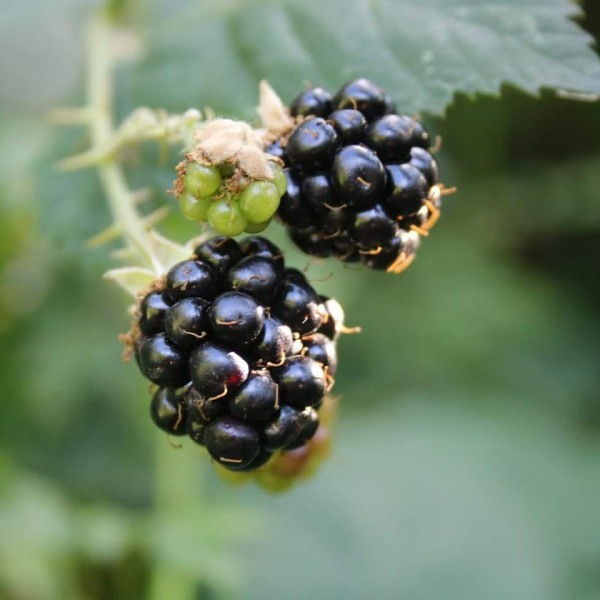 Nope, but these blackberries in my garden fit the bill. 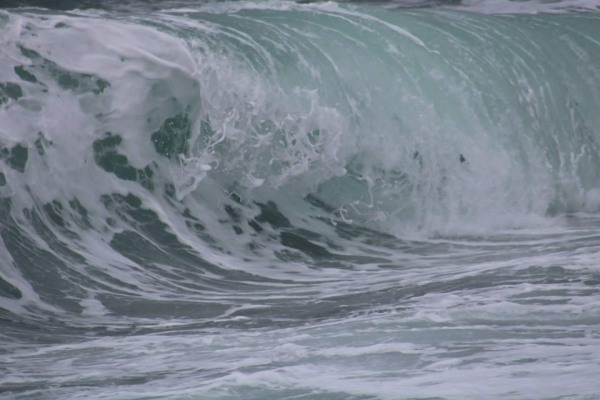 Wild water as the wave meets the shore. 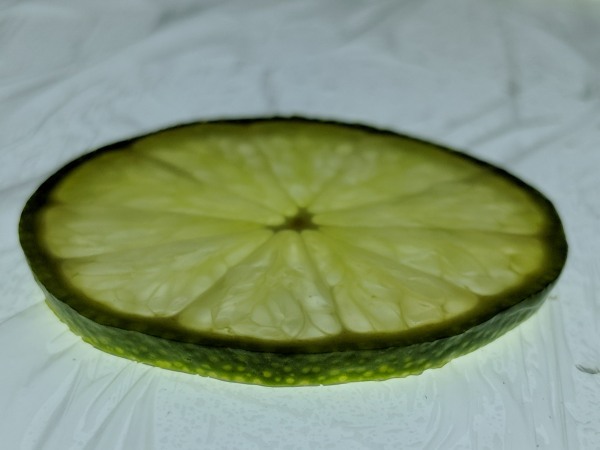 Well, technically just a singular kiss…. 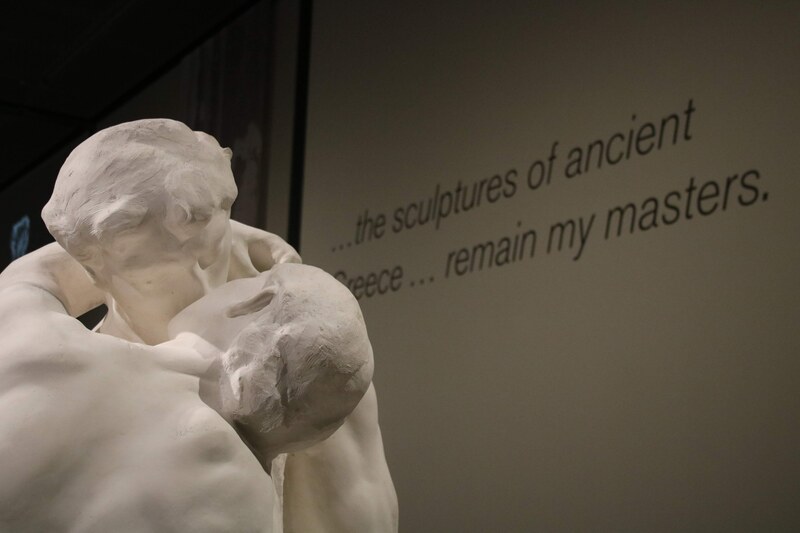 But Rodin’s sculpture is really quite iconic Taken at the British Museum’s exhibition. 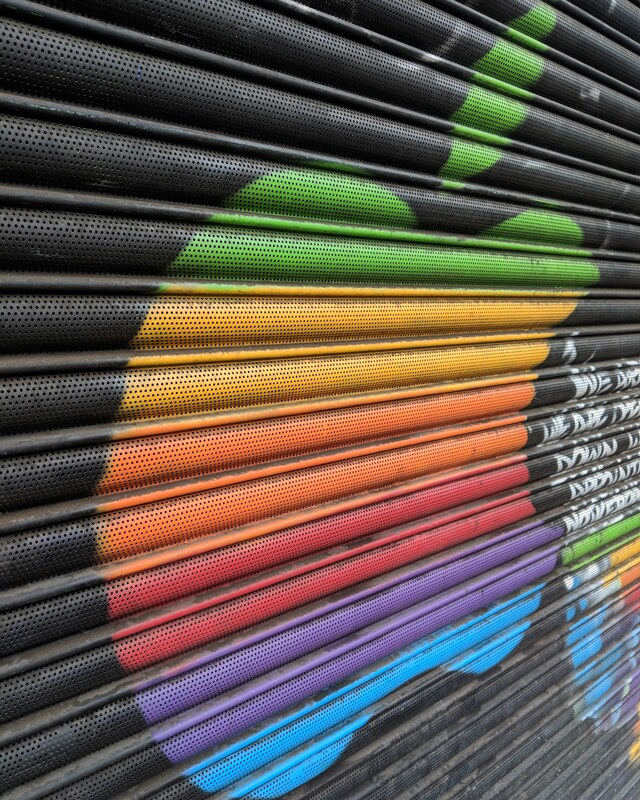 A very famous logo in bright colours. Found on the shutter of a computer repair shop near the Clerkenwell Clinic. Nine is a difficult number to photograph, if you’re looking for naturally occurring groupings or similarities. 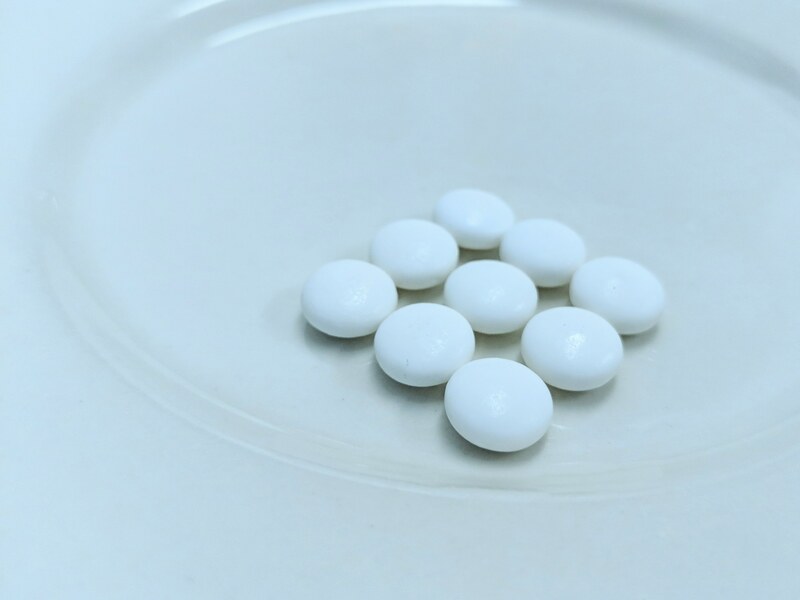 This was a minimalist approach of mints on a plate. I always have mints to hand so I have a fresh breath for my clients. 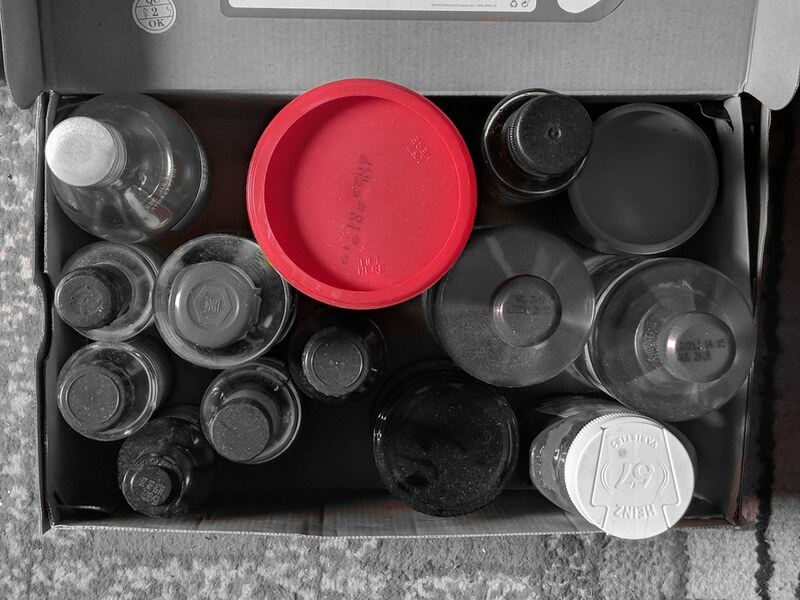 There are so many round things in our world, this is just a box of jars waiting to return to a useful place in my new kitchen. 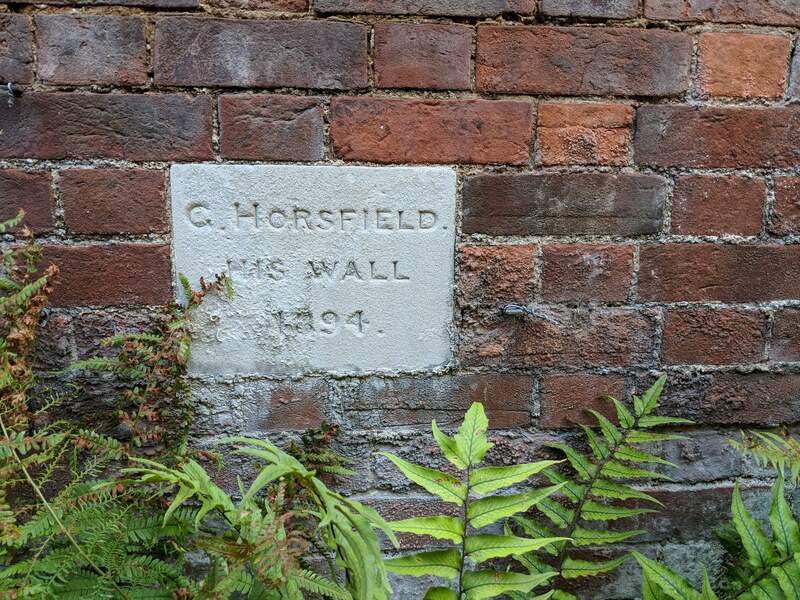 Apparently this wall belongs to G Horsfield, or at least it did in 1894. 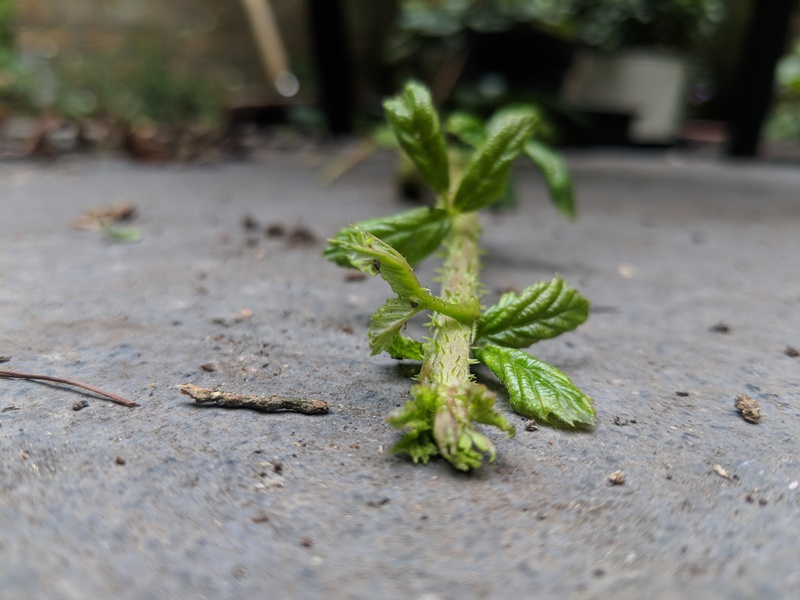 This bramble shoot has reached the ground and is crawling across it in search of somewhere to root down. Sssh! I’m trying to meditate! 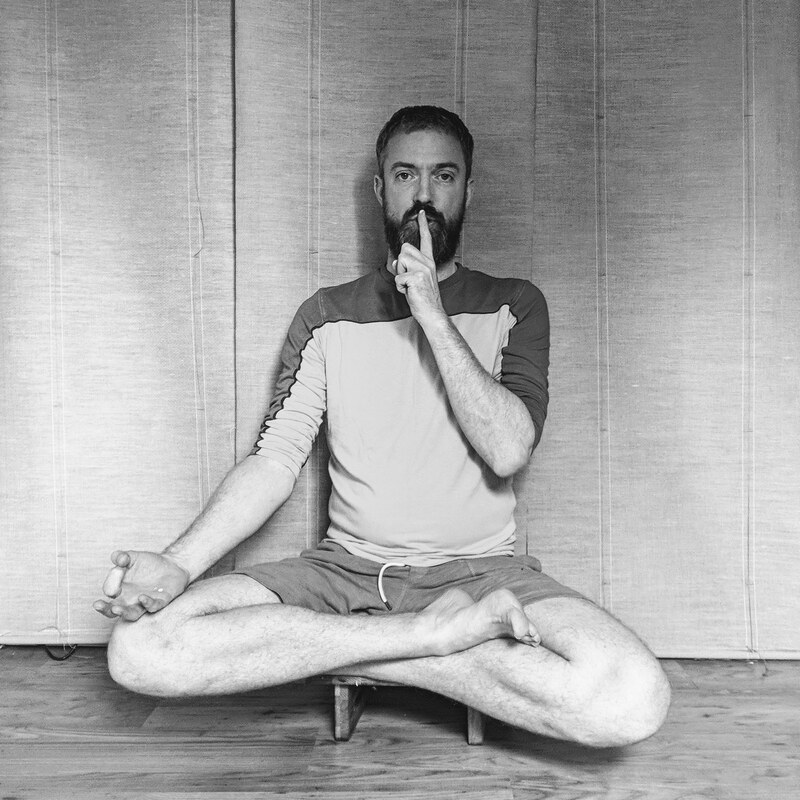 Well, I know that I do not need silence to meditate, but it does make it easier. A pair of sleuths, having an Abba moment (think video of Mamma Mia, and Knowing me knowing you). 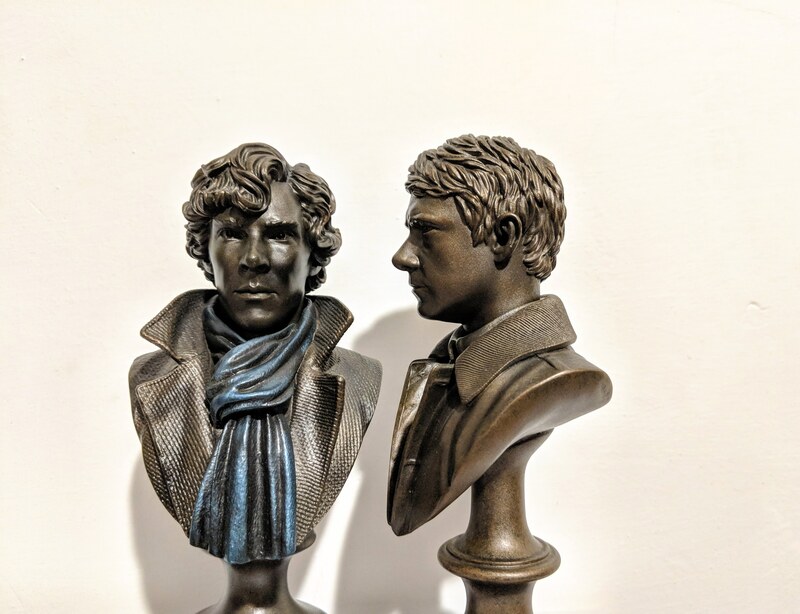 I actually won these busts in a competition (along with he first three series on BluRay) and they fit perfectly for this prompt. 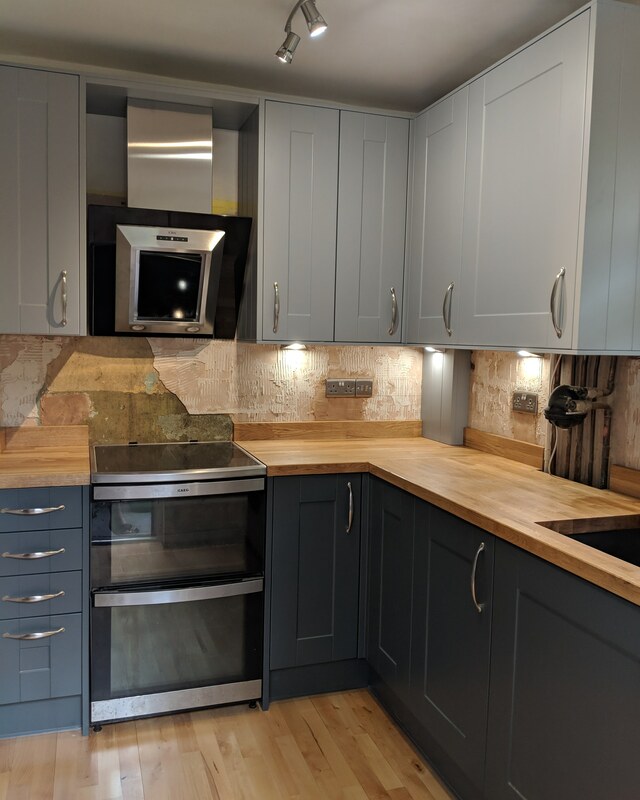 My kitchen, which most of my clients have heard a lot about, has been installed after two weeks of builders. Looking lovely, but still needs more work (plastering, splash back and painting) before it is completely finished. But we love it so much at the moment. 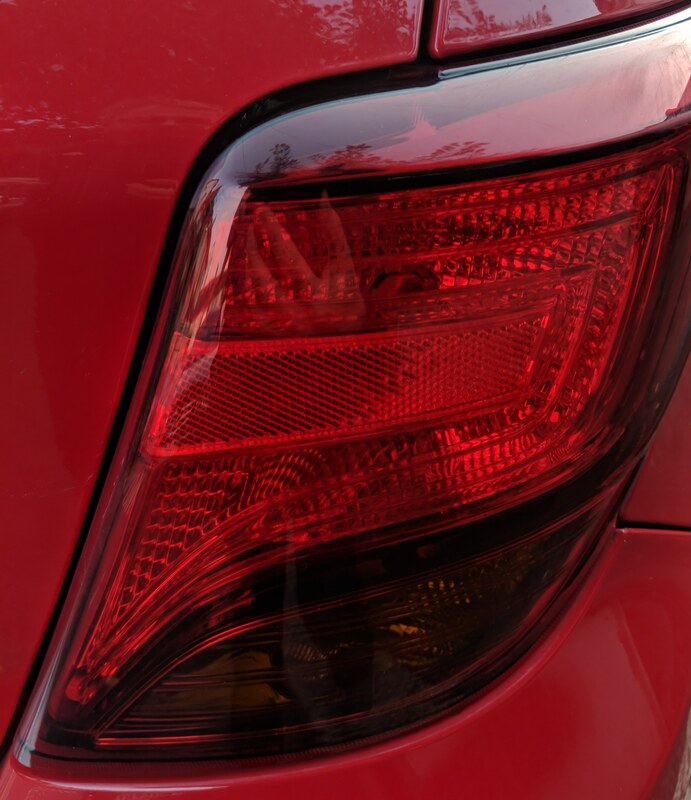 A red brake light, on a red car, which was parked outside my house this morning. The PaD gods were smiling on me. This was a lovely birthday present from my wonderful SO, and I’ve been trying to work out how to display it properly. Playing around with a light box and I have an idea. 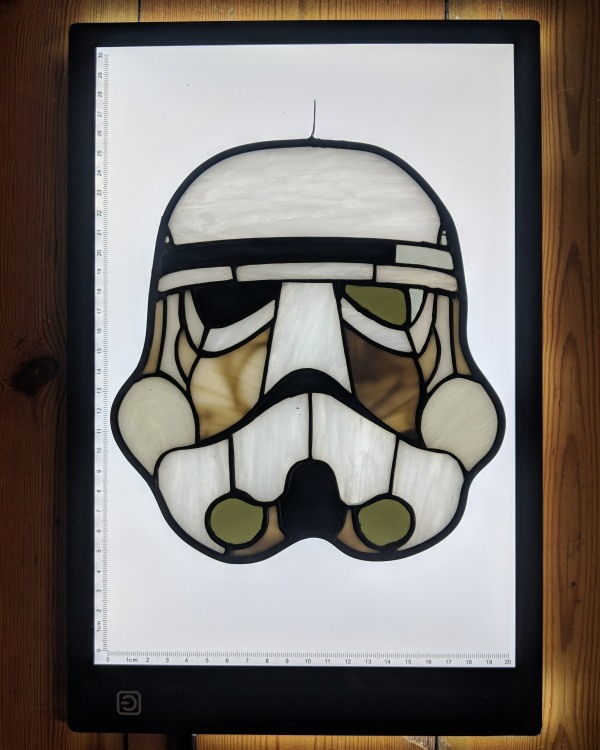 This was made by the very talented Stained Glass Geek and I would gladly have more of their work, but I think I would need a bigger house. So that’s it for this month, I hope you enjoyed the photos. I wasn’t fortunate enough to have been chosen as one of the Fab Four this time around. 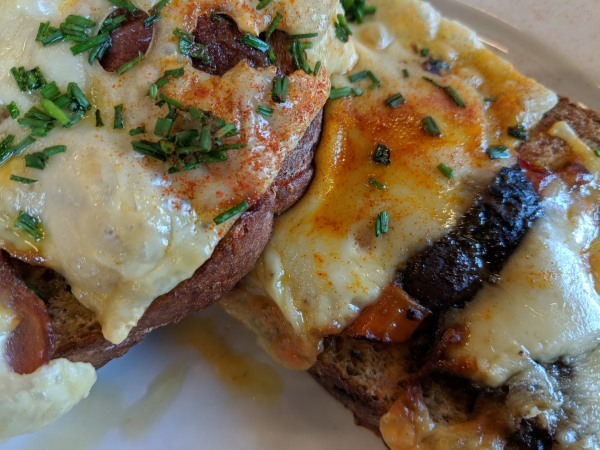 I hope you’re enjoying seeing these pictures, and I know that having this on my blog is strange, but it’s part of who I am.